This past September 2017, I had the privilege of traveling to Toronto and take a portrait of the visionary Canadian artist Michael Snow. When you get an opportunity like this a hundred ideas and many "what if's" go through your head, trying to prepare for all the possible scenarios so that you will be ready for whatever happens. Understandably, you only get one shot at a chance like this, but primarily when you respect someone, you want to capture there likeness in a way that has something representative of their stature....yes of course that is what I wanted - transcendence, photographic wetplate transcendence. It's OK, you can laugh - I know it is a tall order. We arrived early morning loaded with all my wetplate gear knocked on Michaels door and after some simple chit chat, he directed us to his backyard, where I was to set-up and do the portrait. Heather, my partner & assistant went to check it out and I went back to the car to get the gear. As I was filling my arms Heather returns and says, "Ummm, have you seen the backyard?" Suggesting perhaps, if Michael had sent me a picture, during our email conversations. I say, "No why? "....Ok, I am getting nervous. It is your typical Toronto postage stamp backyard, not unusual and kind of what I was expecting - the real problem though - maple tree saplings had grown up to a level and density to block out most of the light, but more importantly the blue light, critical to wetplate, I swallowed hard. There was however a shaft of light passing between the two adjacent buildings that for about twenty minutes might offer some illumination - but I hadn't set up yet! This was sort of the flavour of how the whole day went - basically chasing the light and a very patient Michael Snow around his house, to somehow just miss the image and light I was looking for in my minds eye. It is only when looking back over the images many weeks later that allowed me the space and time to see what was captured. The fourth image below is the only result from that backyard shaft of light glory moment, for by the time I had got set-up and poured the plate, posed & and composed the portrait, my ray of light was gone and Michael was getting cold. The image I captured at a 45 second exposure is more of an expression of the moment then the tack sharp mirror representation we expect from formal portraiture. I did manage to get that sharp image though, on his front step along side the fu-dog with demonic eyes. The sun was shinning straight on and into his eyes so it gives him a badass grimace, not at all the kind, accommodating, and patient man I had the pleasure of passing a day with. As for the images, - not quite the image(s) I had in my mind, but as always - far more interesting than anything I had imagined. Well it has been waaaaaay to long since I wrote something here not that I haven't been busy, just busy enough not to get here to post something, i have oodles of things to share but let us start with something new and exciting. This past March I had the pleasure of having Sheesham & Lotus & Son out to my place for a photo shoot and now that the album is finally out I can talk about it. I managed to get several exceptional shots in, in-between them running off to record the tracks for the album. The best one is presented here for your viewing pleasure. Also check them out when they are in your town!! They are fantastic performers and authentic to the core. A brand new series of portraits shot on 8x10 trophy aluminum using a vintage 1856 Voigtländer brass lens. 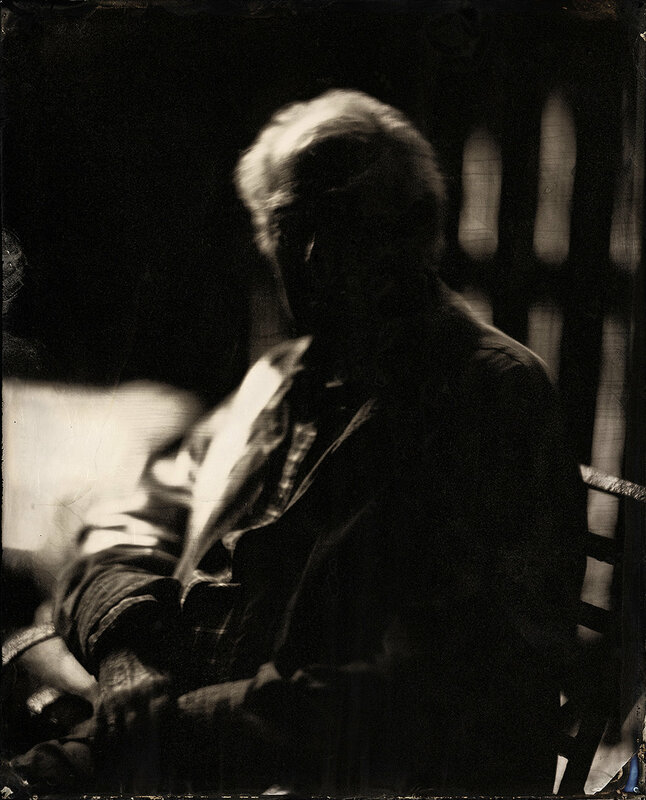 See more in the wetplate portfolio - main page. 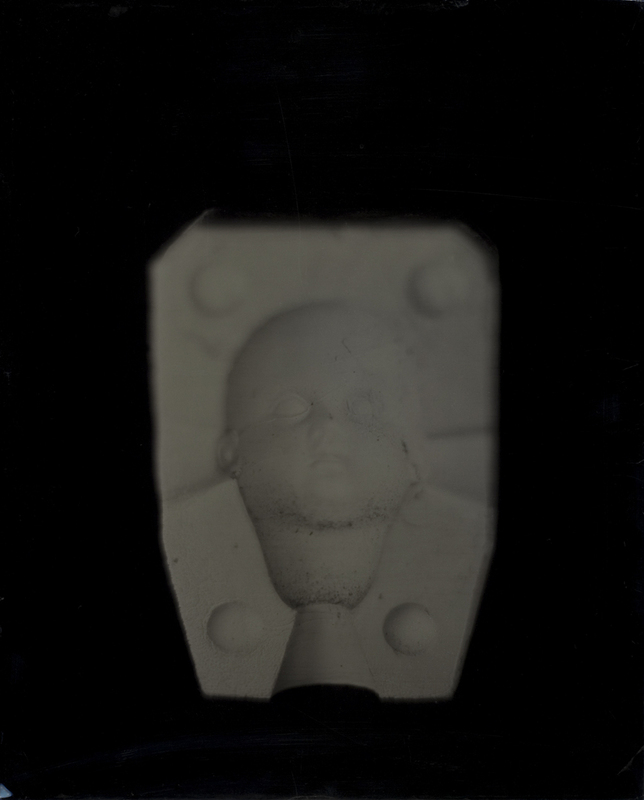 11 x 14 Wetplate Collodion aluminotype made with The Cardboard Supreme sliding box camera. Thanks to wetplate collodion this (cropped) image of Abraham Lincoln still sharp and penetrating. Photographed by Alexander Gardner, and taken on February 21, 1885. The interesting detail to this image is, in the course of removing the plate from the camera, Alexander Gardner cracked it, so it was in two pieces, but still printable, you can see the crack in the albumen prints made from it still smiling at us after 123 years. 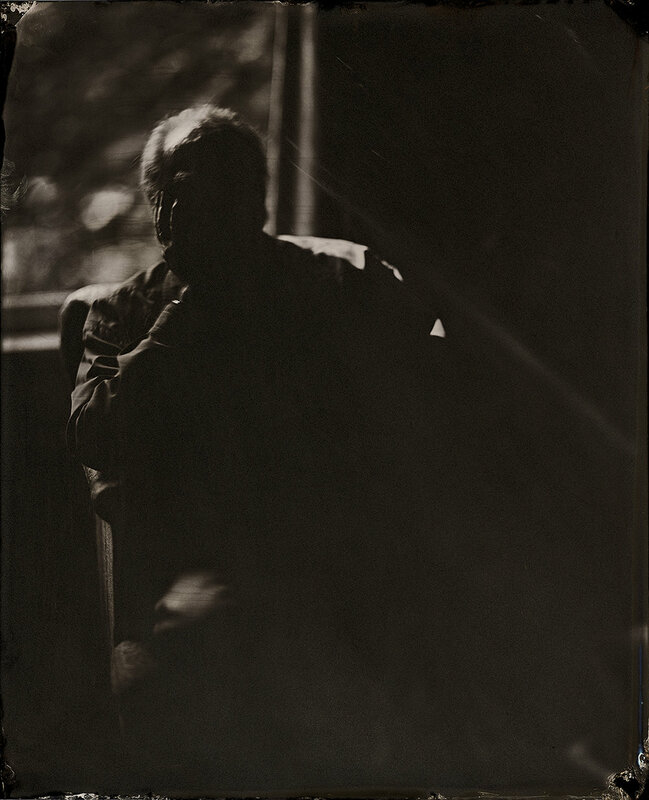 This is a wetplate collodion image on aluminum, taken this spring at John Coffer’s place in upstate NY.